Why look for a good professional swimming pool service in Folsom? If you’re from Folsom, CA, you know how hot things can get here, especially during the summer. That’s why a lot of people have gone ahead and added swimming pools to their property. 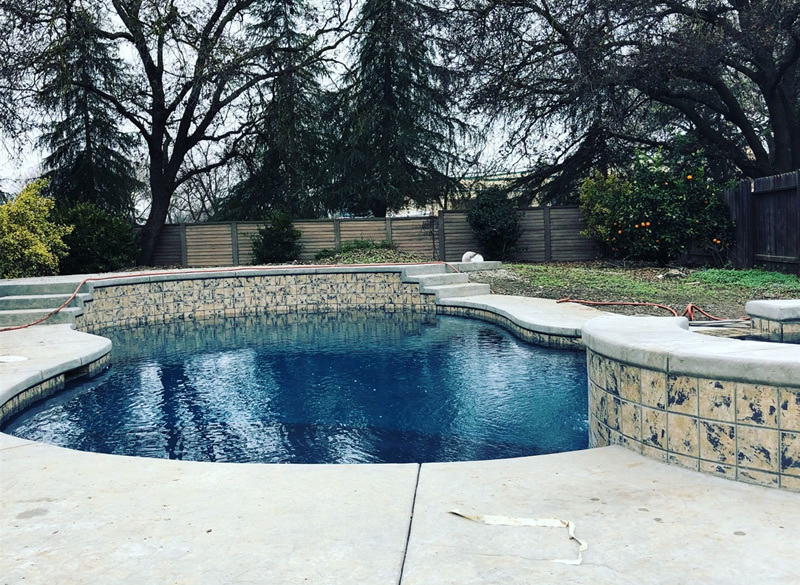 Owning a swimming pool in Folsom is a dream come true for most homeowners here. If you have one yourself, you know how time consuming it is to clean the pool yourself. It’s such a chore! Also, cleaning a swimming pool is not as easy some would think. It requires technical know-how and specialized equipment which most people don’t have. That’s why it makes sense to hire a professional swimming pool service. The question is how to know which cleaning pool service in Folsom is the right one for you. After all, there are many who offer these services. It’s important to do your research and ask the provider the right questions before hiring them. #1: Can you tell us about your experience in this line of work? Ask them specifically about how long they have been in the business. Fact is, it is quite easy to start a swimming pool service, but most new service providers shut down within a year. Only the best stick around and are able to establish a successful business. You should expect the swimming poor service provider to have been around for at least 2-3 years. This shows that they are serious about what they do. #2: Are you insured and bonded? Any reliable swimming pool cleaning service in Folsom should be fully insured and have the necessary professional liability. If the company is bonded as well, that is a big bonus. Don’t hesitate to ask the service provider to show proof of their licenses when they arrive at your property. A simple photocopy should be enough. #3: Do you have any references? You should ask the company for a list of their current customers so that you can call some of them and ask about the quality of their work. It is not important that you should call their customers, what you want to see here is if the company is able to provide references or not. Not providing references is a major red flag. A good swimming pool cleaning service should be happy to give references as nothing beats a testimonial or a word from a satisfied customer. #4: Can you tell us about your cleaning process? Ask the company about the procedure used by them for cleaning the pool. Do they use any specialized equipment? How long does their job take? Here, you want to see if they are able to explain what they do clearly and answer your questions without any hesitation. #5: Okay, how much does your service cost? This is actually the first question that most people ask. Ask the service provider about their pricing. Ask them if they have any flexible cleaning packages, or special prices for regular customers who hire them on a long-term basis. Remember – as with anything in life, you get what you pay for. Sac Pool Pros is a top-rated and highly reliable provider of swimming pool services in Folsom, CA. We provide high quality pool cleaning services at affordable prices. Click here to contact us if you would like to talk to us about our services.